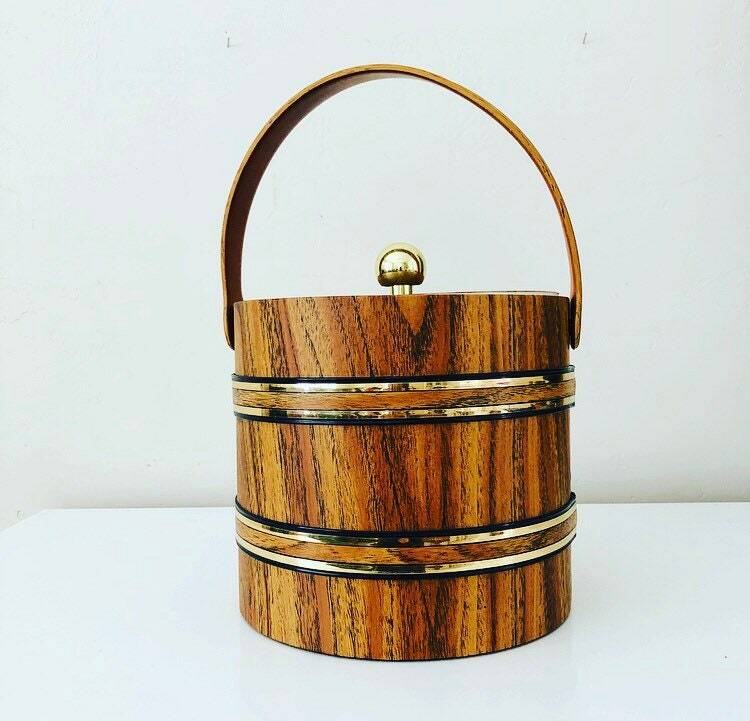 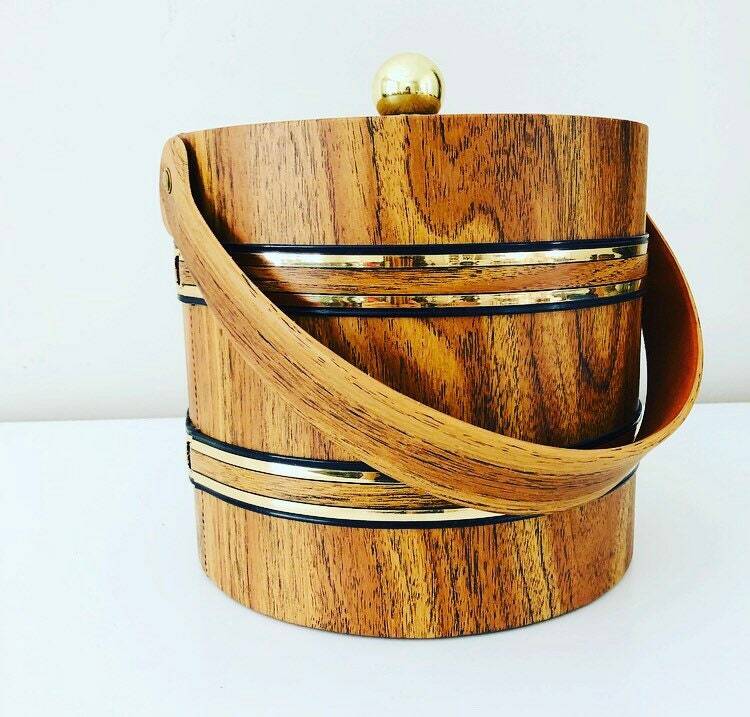 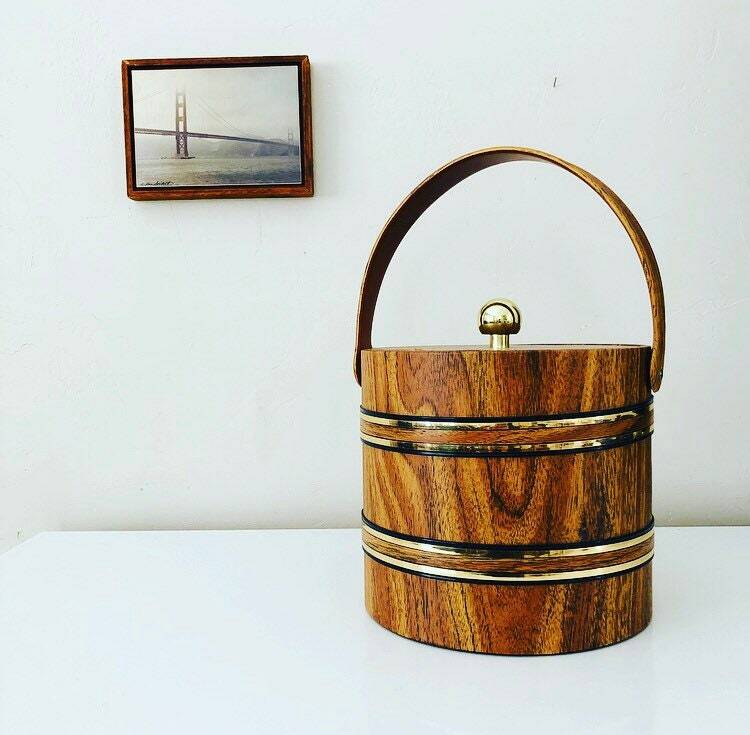 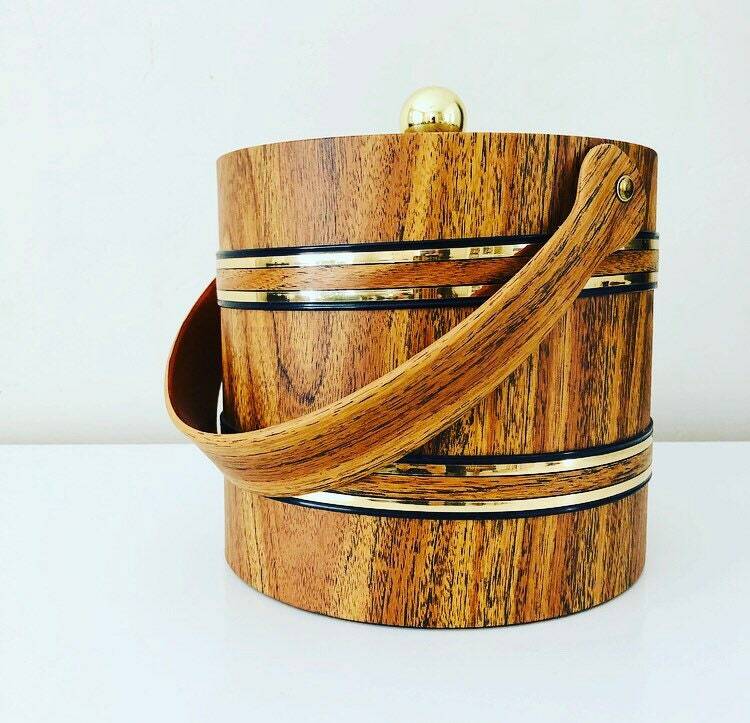 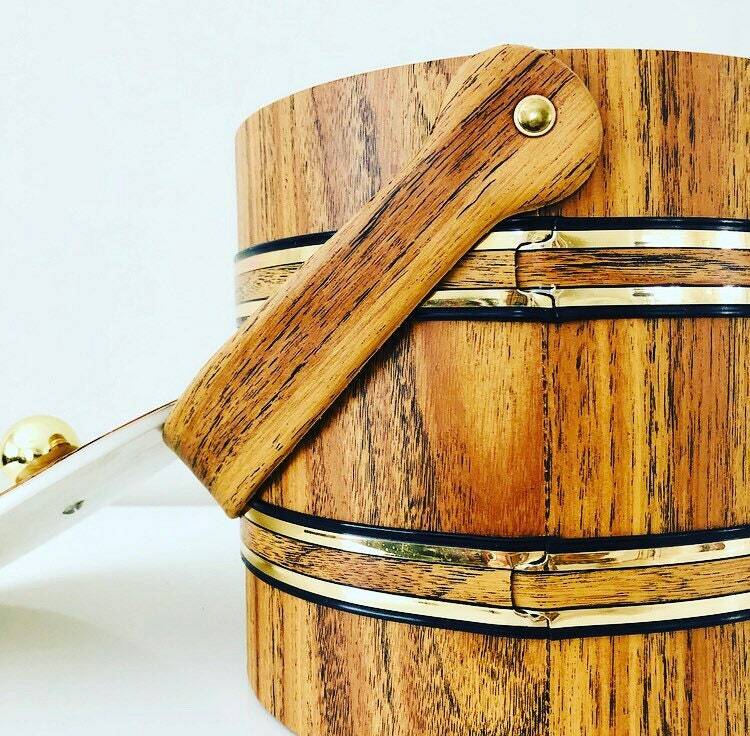 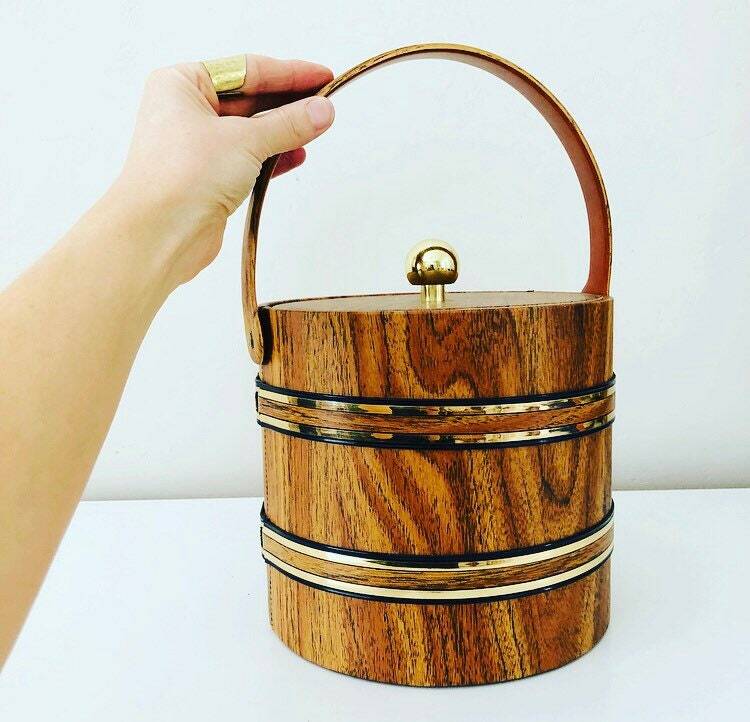 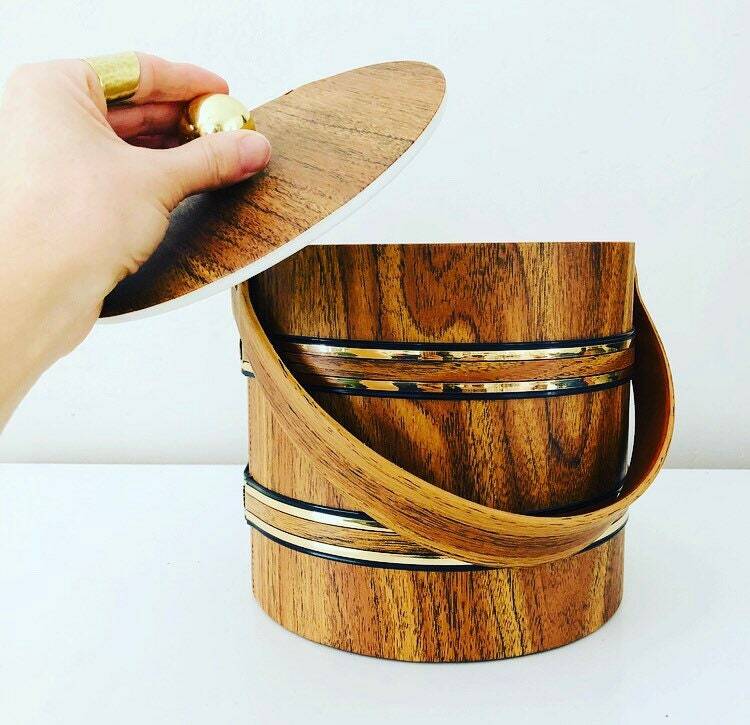 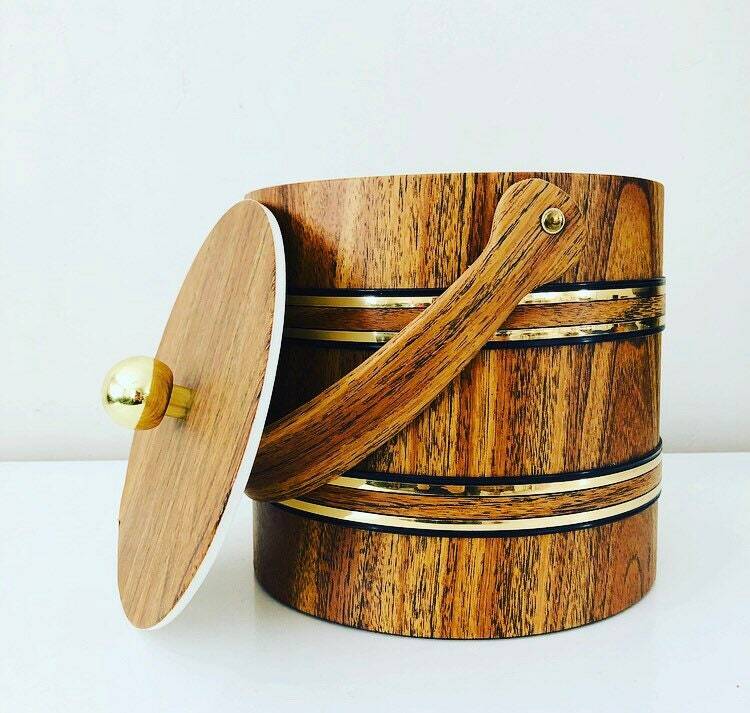 Vintage Mid Century Vinyl Ice Bucket in Faux Woodgrain with gold + black striped accents. 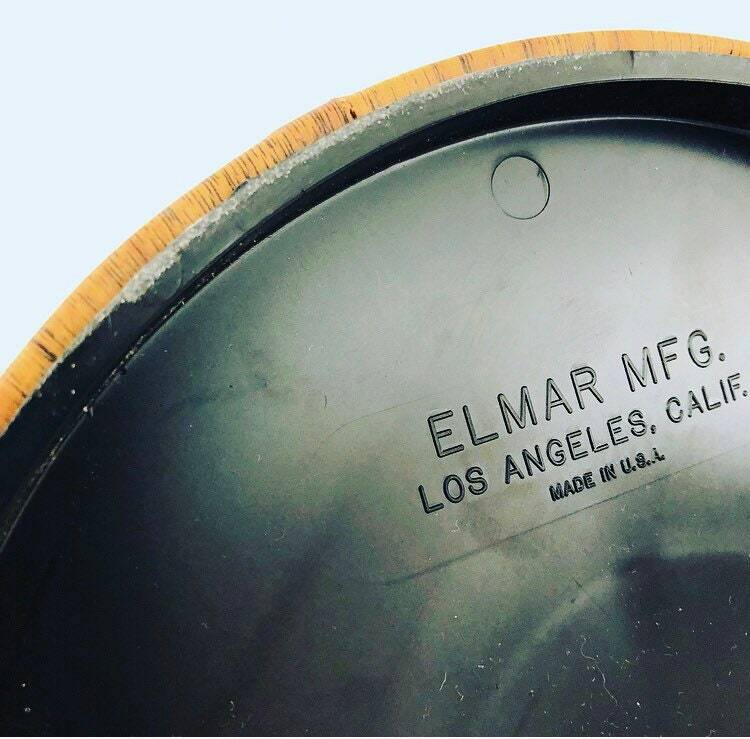 ELMAR MFG. 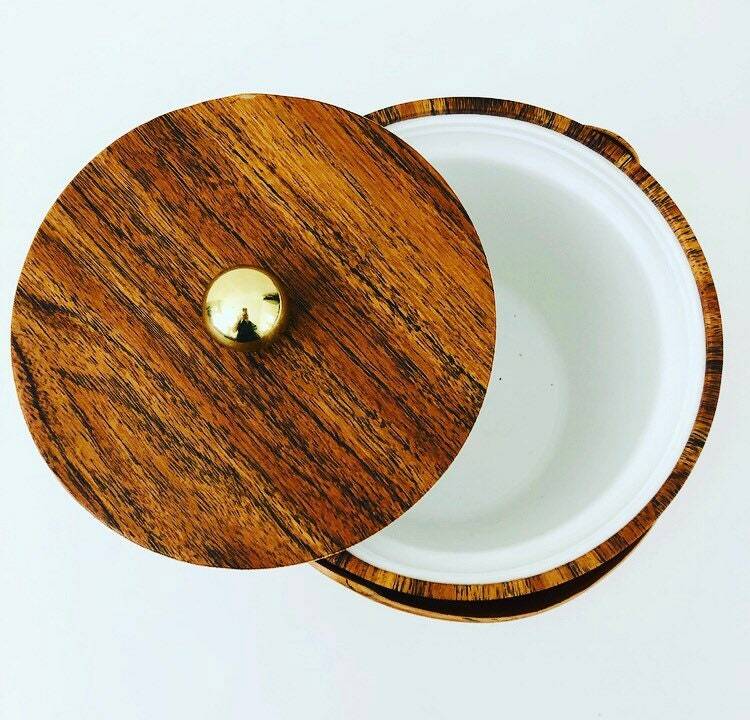 Los Angeles, Calif.